This inspires me as a teacher to be a role model more than a teacher for the kids in my classes. Sometimes I read the affirmations from Ms. Ramsen’s book in my moms and kids classes. I think the moms really need the inspiration so they can pass it on to the kids. Then the moms want to come to class because it nurtures their souls as well as being fun for the kids. There are a lot of hard working moms out there. I’ve been very busy getting my ducks in line for the Teaching Kids Yoga Course and will give you an update on the marketing strategies I’ve been using. 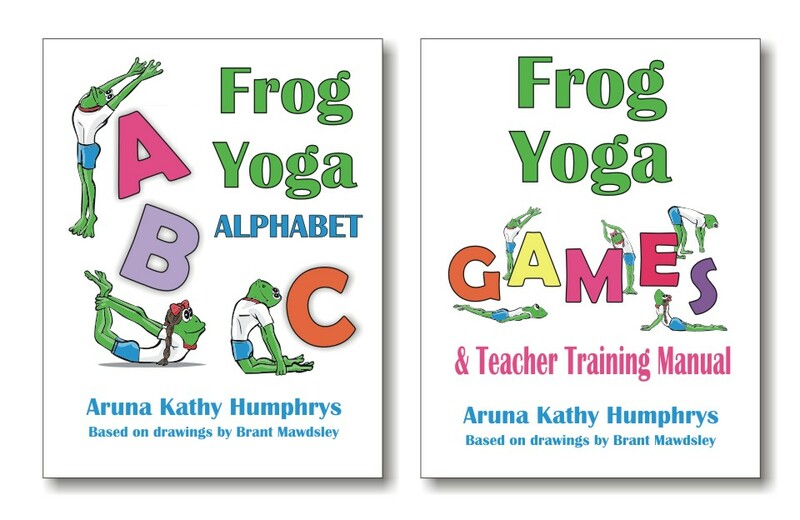 I think they will be useful for yoga teachers and kids yoga classes. Tonight, I’m off to teach my adult class. As a business entrepreneur I’m learning what it takes to develop new products while still keeping up the other parts of the business. In other words, developing and marketing the course and teaching 10+ classes a week. Stay tuned for tips to stay sane and what doesn’t work. And let me know if you have any tips that work for you in your busy life! Till then enjoy the video. I have just returned from a workshop with Rodney Yee. Very informational and inspirational weekend. I would guess that “stress” is the most searched word on Google. With the way things are going in the world right now, it is putting a lot of added pressure on many people, which causes stress. Yoga sure can help with that, if people are willing to give it a try. I’m teaching a group of kids Yoga at a church once a month. They are pretty young, 5-7, so it’s sometimes a challenge to keep them both interested at the same time. We all seem to enjoy the class time together, which I feel is important. Thank you for all the wonderful information. Much appreciated. If you are ever in Seattle, Wa come check out the Ashram Yoga in Kirkland, WA. Regularly Sold out classes to teacher Gary Olson. http://www.theashramyoga.com.